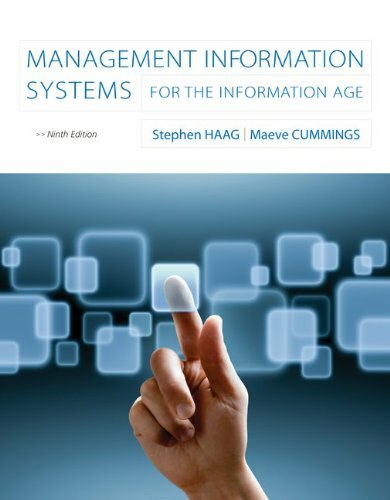 The Ninth Edition of Management Information Systems for the Information Age provides you the ultimate in flexibility to tailor content to the exact needs for your MIS or IT course. The nine chapters and thirteen Extended Learning Modules may be presented in logical sequence, or you may choose your own mix of technical topics and business/managerial topics. Chapters cover what instructors want students to know about MIS while Extended Learning Modules (XLMs) show students what they can do with MIS. A contemporary writing style and a wealth of examples engage students in the content. Arranged with chapter opening cases that highlight how an organization has successfully implemented many of the chapter’s concepts and chapter closing cases that help students apply what they just learned gives students the hands-on knowledge that is applicable in both their personal and professional experiences.